Can you predict roulette spins? Yes, but there are only a handful of techniques that work, and even they wont work for all wheels and in all conditions. This article will explain how to predict winners with a pocket computer. Specifically it is using free software called metronome, in combination with visual ballistics. You cannot beat all wheels, and will need to search for suitable wheels. There are a variety of factors that determine of a wheel is suitable, with the major one being “scatter”. Scatter is basically “how predictably the ball bounces”. If you have a rating of 70% or above, the wheel is likely acceptable, at least when it comes to predictable ball bounce. Start the metronome software and set it to pulse a vibration at once every second. The settings are self-explanatory, and you can set the intensity of the vibration. You will need to place the phone somewhere that the pulses are easily felt. This is a matter of personal preference. You will need to feel the vibrations clearly enough. The difference is instead of estimating the ball speed, you will be using the timings of the phone’s vibrations. To do this, note the position of the ball each time you feel the vibration. Call each point the “intersection point”. You will find the distance between each sucessive intersection point will become shorter and shorter as the ball speed approaches 1 revolution per second. Before this, the points will gradually move in one direction (for example, clockwise). Then when the sucessive intersection points begin moving in the other direction, this is called the “crossover point”. At this point, you note the number under any particular reference diamond. You can use any diamond, provided it’s the same one on each spin. Call this number A. Then when the ball lands, the winning number is number B. Then enter the numbers in http://roulettephysics.com/jaa/index.php/jump and if you get a rating of 65% or above, the wheel should be easy enough to beat provided you don’t make significant mistakes. Become familiar with the types of roulette bets. Assuming everything to this point is ok, now you repeat the process described in step 3 to find number A. This is called the raw prediction. Now you need to bet a specific number of pockets from this number. This will be something like +5,+6 or so numbers from the number A. The chart you created at the end of step 3 will have green areas highlighted, to indicate the “jump” values to use. The whole process is also explained in the youtube videos, although instead of estimating ball speed, you will be using metronome. Literally millions have been won with such simple approaches. But remember it has limitations and isn’t magic. You need to scout for optimal conditions. Ultimately metronome is the most basic roulette computer possible. A slightly more powerful computer is the basic computer, which you also have free as one of my lpayers although it will need to be run on a different phone. Most cheap phones are usually ok though. The benefit of metronome is that you don’t need any cables. And if you are ever caught, all you need to do is exit the software and there’s virtually no chance any police would charge you for cheating, because there wouldn’t be enough evidence to charge you with. Although this is why some players prefer metronome, it doesn’t mean we advise it. Please also be aware our terms of service forbids illegal use of the device. 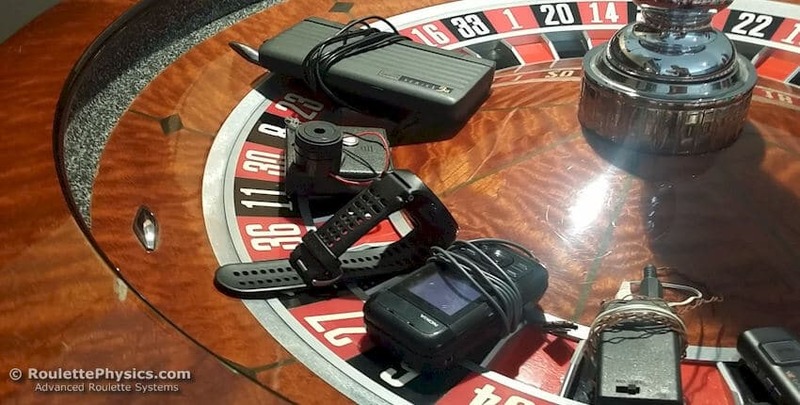 The device explained in this article is as simple as roulette computers get. Some sellers charge over $1,000 for the sale thing. There are many more advanced ways to use metronone too. For a comparison of all my roulette computers, see www.roulette-computers.com/comparison2.htm – the metronome computer is simpler than the basic computer I’ve listed. Again although it does work, it will work on far fewer wheels than the more advanced versions. I have developed many different types of software to analyze roulette wheel bias, but these achieve only a small edge. The roulette computers and jaa roulette system achieve far greater edges and in much less time.